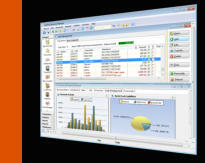 CAPITAL Business Manager is integrated Australian accounting and business management software with powerful inventory and warehouse management capabilities. Ideal for distribution/wholesale businesses, importers, service management, job costing, and hire/rental. Incorporating a full range of financial management functions such as cash management and general ledger with leading edge features. Proven technology that is competitively priced against comparable systems, it has been continuously updated since 1985, now in its 3rd platform release and 19th major upgrade. Our team of skilled professional consultants are ready to help you solve your business problems today. Click here to download an evaluation version of CAPITAL Business Manager V8 & CAPITAL Sales Force Manager V8.